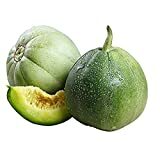 Melon plant growing – herbaceous of the genus Cucumis, Melon plant annual plant grow as semi vine or vine, can grow mediterranean, desert, subtropics, temperate or tropics climate and growing in hardiness zone 4+. 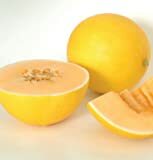 Golden Dewlicious Honeydew Seeds! VERY SWEET FRUIT! What can be done with big quantities of Melon plant fruits?